The district of Champawat constituted in the year 1997 is situated between 29 degree 5 minutes and 29 degree 30 minutes in northern altitude and 79 degree 59 minutes and 80 degree 3 minutes at the center of eastern longitude. 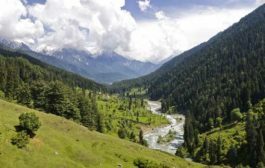 The Ram Ganga River acts as a border between Champawat and Pithoragarh in north while Jabgura and Pannar rivers in south and west act as a border between Champawat, Udham Singh Nagar and Almora districts simultaneously. The long chain of mountain in southwestern region acts as a border between the district Champawat and Nainital district. It is important from the defence point of view as in the east Kali river acts the international border between Nepal and India. The geographical coverage of Champawat is about 1613 sq. km. It includes two Tahsil and four development blocks and 691 revenue villages. The district owes its name to King Arjun Deos daughter Champawati. 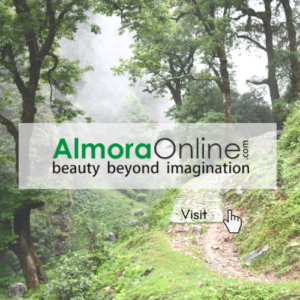 Earlier this district was a part of district Almora. In 1972 the Champawat Tahsil of Almora district was transferred to Pithoragarh. On 15th Sep, 1997 Champawat district was given an independent identity. Since the time in memorial Champawat district is having it’s own importance in terms of religious and social aspects. It is believed that Champawat district is the source and origin of religion and culture of Uttarakhand. In the ancient time this region was the origin of Naga, Kinnar and Khas Raja’s. The available historical pillars, manuscripts, archeological collection and folk-lore describe the greatness of the area during the period of Maha Bharata. Barahi Temple of Devidhura, Tarkeshwar Mandir of Champawat, Vanasur Fort of Vishung, Baleshwar Mandir of Champawat, Sapteshwar Mandir of Sipti and Ghatotkasha temples are believed to be of the great period of Maha Bharat. The ample evidence is also available about the Katiyur dynasty, and its prosperity in ancient times. There is a belief that the king Brahma Deo was having his capital at Suie and his contemporary King Raja Arjun Deo was having his capital at Daman Kot. The marriage of the daughter of the King Arjun Deo with Sam Deo opened a door for Chandra dynasty in this region. In around 1790, with the establishment of the Gorkharaj, the Chandra Vansha came to its end. In 1814, the Britishers forced the Gorkhas to leave the place. In the history of Indian independence the history of the warriors of this region has been written in golden letters for their sacrifices. Champawat, once the capital of the rulers of the Chand dynasty, is famous for its natural beauty and well known temples. The ancient fort, now houses headquarters of the Tehsil office. A historical spot, Champawat has many well known temples of high artistic value. The Baleshwar temple is the noted attraction of Champawat. The Nagnath temple at Champawat is also an excellent example of ancient architecture of Kumaon. 4 - 5 kms. from Champawat is the 'Ek Hathiya Ka Naula', which is said to have been constructed in just one night by the one handed artisan. The story of Golla Devta is also associated with Gorilla Chaur of Champawat. It was in Champawat that Lord Vishnu is said to have appeared as 'Kurma avatar' (incarnation as tortoise). This hill is also known as Mt. Kandev. There is a small fort at Champawat. Jim Corbett had come to this region in the first decade of the twentieth century in order to hunt for man eating tigers. Baleshwar, 76 kms. from Pithoragarh, situated at Champawat is the most artistic temple of the district. There are evidences that the group of temples dedicated to Baleshwar, Ratneshwar and Champawati Durga were built by the early kings of the Chand dynasty. The temple once had intricate structural features and a sanctuary with a mandap. The intricate carving still visible on the ceilings of these temples is an evidence of their ancient glory and artistic excellence. A deity of widespread faith and influence, Gwal Devta also known as Goril or Goll, is considered to be the presiding deity of justice. It is believed that when approached, Gwal Devta dispenses justice to a helpless victim of injustice and cruelty. Historically, Goril a Katyuric prince of Champawat, known for his unwavering justice and fair play, was himself a victim of planned conspiracy hatched up by his step mother, who had thrown him into a river, locked up in an iron cage. Held in high esteem as a symbol of justice, a temple was dedicated to him at Gwarail Chaur at Champawat and ever since he has grown into a deity of great influence attracting innumerable pilgrims around him. As per a story, Harish Chandra was a famous king of Champawat, who after his death, was worshipped as the folk god 'Haru'. Haru's mother's name was Kainer and he is said to be Gwall's maternal uncle. At an elevation of 1706 m, Lohaghat is 62 Km away from Pithoragarh on way to Tanakpur and 14 km from Champawat district headquarters. Lohaghat which is situated on the bank of river Lohawati is a centre of historical and mythological importance. In 1841, so overcome was Pilgrim (Barron) by its beauty, that he had surprised why the Government of India was not developing it as its summer capital. In summer season Lohaghat is full of Burans flowers. Nearest railhead is at Tanakpur which is 89 km away. From Dhunaghat (on the Lohaghat -Devidhura road)one can visit Reetha Saheb or Meetha Reetha, located at a distance of 72 km from Champawat. Guru Nanak is said to have visited this place and have had spiritual discussions with Gorakhpanthi Jogis. The Gurudwara was constructed in 1960 at the confluence of Lodhiya and Ratiya rivers, near village Deyuri. There are trees of sweet Reetha (Sapindus emarginatus) in the Gurudwara premises, adjoining it is the temple of Dhernath. Before the motor Road was build to Bhingrara, people use to come to this place on foot. A fair is held at the Gurudwara on Baisakhi Poornima. Ritha Mitha Sahib is well connected with all the major towns of Kumoan hills and near by districts. Nearest Rail Head is at Tanakpur which is 173 Km away. At distance of 45 kms from Lohaghat, Devidhura is famous for its Barahi temples. A very unusual fair, which attracts people from Kumoan, Nepal, and even other places, is held every year at the temple of Barahi Devi on Raksha Bandhan day. 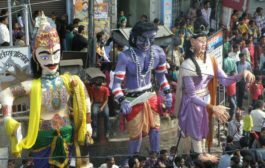 During this festival, known as Bagwal, two groups of dancing and singing people throw stones at each other, while they try to protect themselves with the help of large wooden shields. The famous hunter, Jim Corbett's tale 'Temple Tiger' is associated with the Devidhura temples. Devidhura is situated amidst tall deodar and oak trees surrounded by beautiful native flora and fauna. This is a wonderful place for treking and being one with the mountains. Nearest railhead is at Tanakpur which is 110 m away. At a height of 3000 m above sea level, Purnagiri is 20 km from Tanakpur, 171 km from Pithoragarh and 92 km from Champawat. Purnagiri temple is visited throughout the year by devotees from all parts of the country, who come here in large numbers, particularly during Chaitra Navratri in the month of March - April. 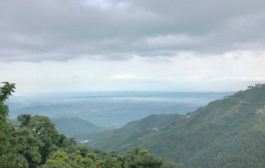 The surrounding valleys echo with the holy chantings of the devotees climbing up to the top for darshan, creating an atmosphere of spirituality. From Purnagiri, also known as Punyagiri, the river Kali descends into the plains and is known as Sharda. For visiting this shrine one can go upto Thuligaarh by vehicle. From this place one has to trek (the road is under construction upto Tunyas ). After the ascent of Bans ki Charhai comes Awalakhan (the new name is Hanuman Chatti).The southwestern part of 'Punya Parvat' can be seen from this place. Another ascent ends at the TRC of Tanki. The region of temporary shops and residential huts start from this place upto Tunyas. From the highest point (the temple) of Purnagiri hill the pilgrim can see the expanse of Kali, its islands, the township of Tanakpur and a few Nepali villages. The old Buram Deo Mandi is very close to Purnagiri. From Tanakpur or Purnagiri it is possible to trek to Tamli and even to Jhulaghat along the Kali river. For all basic amenities/facilities Tanakpur is the nearest place. 22 km from Champawat and 9 km from Lohaghat, this ashram is situated at an altitude of 1940 meters. Mayawati shot into prominence after the Advait Ashram was established here. The ashram attracts spiritualists from India and abroad. Amid and old tea Estate, is the Advait Ashram of Mayawati. During his third visit to Almora in 1898, Swami Vivekanand decided to shift the publication office of 'Prabuddh Bharat' from Madras to Mayawati, from where it is published since then. The only presence that has become a part of the peace and solitude of Mayawati, is that of the mighty Himalaya in all its splendor. On request the Ashram provides board and lodging to visitors. There is also a library and a small museum at Mayawati. 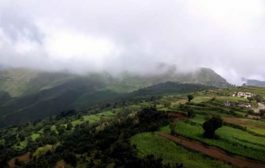 It is a fort at an elevation of 1859 m, 7 km from Lohaghat and 20 km from Champawat (Lohaghat to Karnakarayat is 6 km by bus and Karnakarayat to Vanasur ka kila 1 km by foot ) along the Bhowali road, is the fort of Vanasur which can be seen of all sides. The names of Shonitpur and Lohawati are linked with the myth about the assassination of Vanasur at this place. One has to walk about 2 km to get to the fort. The fort seems to be a construction belonging to the middle ages, but the story of Vanasur was probably associated with the spot even before the construction of the fort. Lohawati river originates near this place. 1500 m above sea level, Shyamlatal is 132 km from Pithoragarh and 56 km from Champawat. Swami Vivekanand Ashram is located here at the bank of the lake. The blue colored lake of Shyamlatal is spread over an area of about one & a half sq. km. 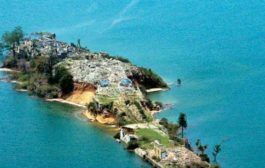 This place has some ruins dating back to the days of the early Chand rulers and others which were associated with the Pandavas. Shyamlatal is also famous for its Jhula fair. Different variety of roses also attract the travelers here. 40 km from Lohaghat at the confluence of river Kali and Saryu, Pancheshwar forms the borders with Nepal and is famous for the temple of Chaumu, its fair and a dip at the confluence is considered to be very sacred. The Jaat (jamaan) of Chaumu comes down from villages Sail, 5 km above the temple. Chaumu is worshiped as a protector of animals. Bells and milk are offered in the temple of Pancheshwar. Chaumu Jaat of Pancheshwar has its unique way of cultural expression. The temple at Pancheshwar is devoted to Lord Shiva. Nearest Air Port is at Naini Saini, 80 kms away (Pithoragarh). Nearest railhead is at Tanakpur, 75 kms away.